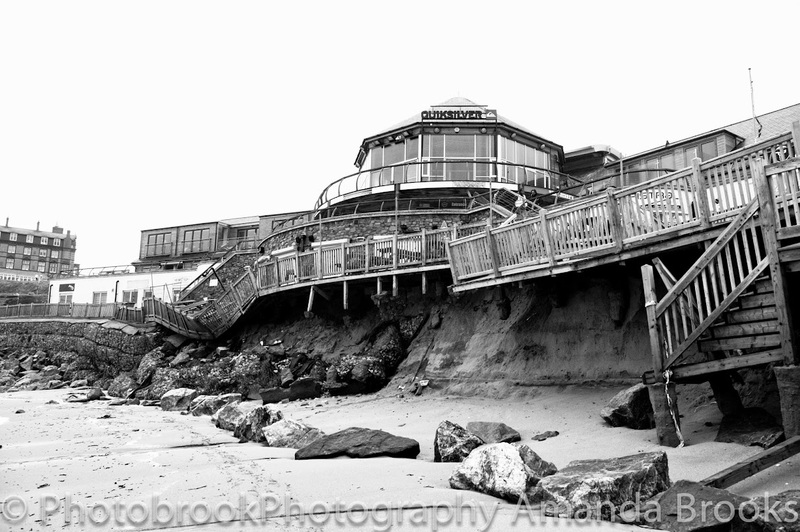 On the 5th of February nearly two months ago there was a land slide in Newquay. The road and access to Gt Western Beach now blocked by tonnes of debris, soil, rock and brickwork. 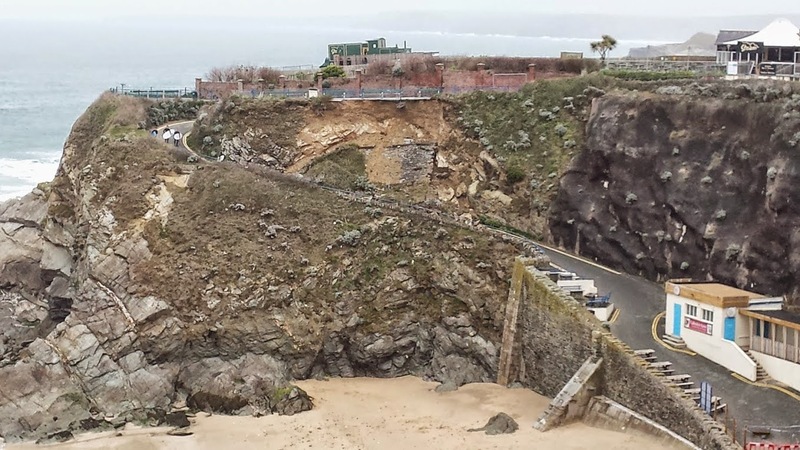 However two months on the council have yet to visit the beach and repair the crumbling cliff and have simply blocked access from the top and bottom of the beach. However if you are a surfer and the waves are looking good at the beach you are likely to still want to surf at this spot. Like several surfers seen in the images below, they clamber over the fences with their boards, over the pile of land slipped material and onto the beach for a surf. The benefits of risking your life for a surf are that not everyone wants to clamber over a pile of fallen debris, so the beach is relatively quite at the moment for surfers in the water. However as the easter holidays arrive and so do the tourists It'll be interesting to see how long it takes for the council to repair the road down to the beach, especially with summer just around the corner. 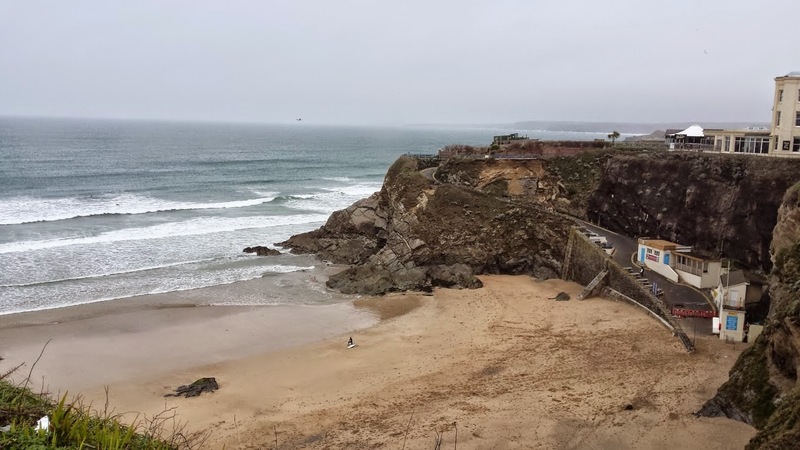 The pictures above show at least four surfers in the space of three minutes all ignoring the signs and continuing past the landslide to get in the water. Fingers crossed the land is stable and no more debris falls whilst more and more people will ignore the warning signs and access the beach especially with the holidays starting and the arrival of the holiday makers. The longer the road is shut the more people will ignore the signs and continue to use the beach as they had done before.